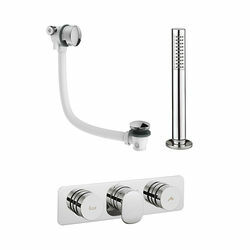 Crosswater Dial > Pier Thermostatic Shower & Bath Valve Pack (2 Outlets). 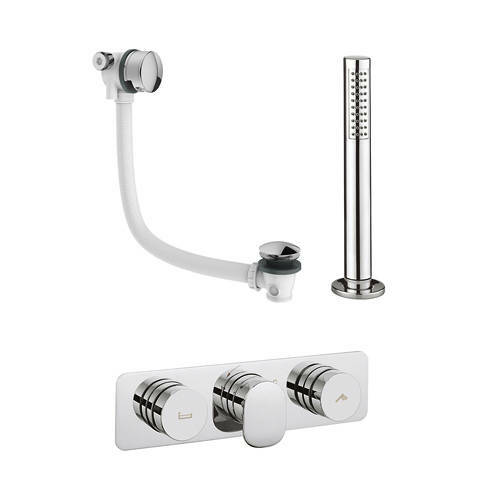 Crosswater Pier thermostatic push button shower and bath valve with two outlets, Mike Pro bath filler, Follow Me shower handset and rectangular chrome back plate. Unrivalled collection of shower valves to provide you with the ultimate in performance. Follow Me shower handset included. Mike Pro bath filler included. Pioneering water flow control technology. Concealed valve with unique push button shower controls. 2 x outlets (shower and bath). 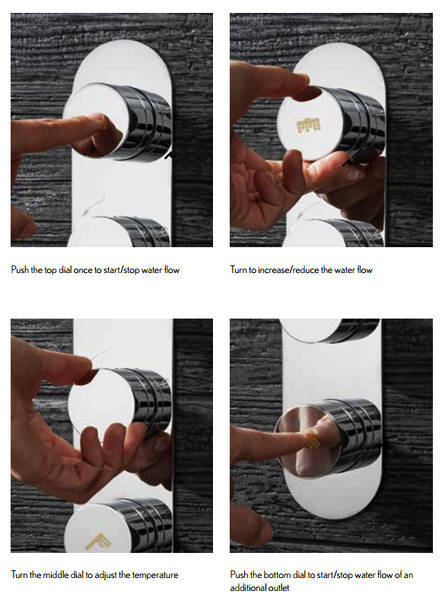 Three controls for temperature and water flow. Brass valve and chrome plated back plate. Water pressure required (1 bar). 15 Year warranty: Crosswater warranty their Dial Showers for 15 years. 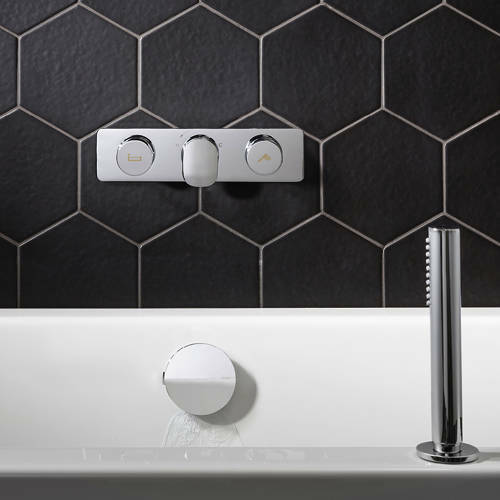 Crosswater Dial showers are the latest in push button shower technology which enables you to precisely control the flow of the water as well as the temperature. 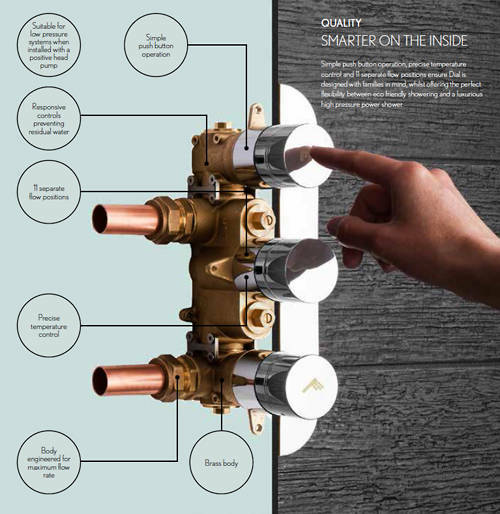 This innovation not only looks smart with 4 designs, it's also smart on the inside using pioneering flow control technology. 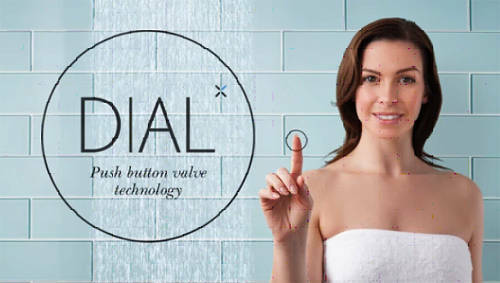 Available in both single and double outlet options, Dial is a step forward in on/off and water flow control showering technology with the touch of a button.